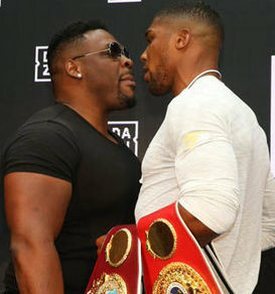 It looks as though Anthony Joshua’s first fight in the USA will be against Jarrell Miller in New York on 1 June and confirmation of that is imminent. Reportedly Joshua’s purse will be his highest yet at $32 million. The WBC pushed the date for the purse bids for Deontay Wilder vs. Tyson Fury back to 12 February with the parties said to be near to reaching an agreement. If the purse bidding does go ahead it will be interesting to see whether, as has been claimed, Wilder vs. Fury is a bigger fight. It is to the credit of the fighters and the Wilder/Fury people if they can come to an agreement in such a relatively short time. With the possibility of Derek Chisora vs. Joseph Parker, Dillian Whyte vs. Dominic Breazeale on the cards, Joe Joyce vs. Bermane Stiverne on 23 February and Daniel Dubois and Nathan Gorman all scheduled to fight in the next two months I can’t remember the last time there was so much happening for British heavyweights. Definitely not the “horizontal heavyweights” of the past. It is not just British heavyweights keeping busy with Agit Kabayel 18-0 defending the European title against Andriy Rudenko 32-3 on 2 March in Magdeburg and fellow SES heavyweight unbeaten Tom Schwarz 23-0 facing 17-1 Croatian Kristijan Krstacic on the same show. With Alex Povetkin likely to return to action in April and Kubrat Pulev facing Robert Helenius in the USA on 23 March (but that may fall through as the main event was to be Miguel Berchelt defending the WBC super feather title against Francisco Vargas and that fight has had to be put back to May due to Berchelt injuring his left hand) Romanian heavyweight Christian Hammer going where others fear to tread by taking on Luis Ortiz on 2 March it is a busy time for the heavyweights. The WBSS is still limping along. It is a bit like a wounded animal-is it going to be able to limp safely to the end of the current rounds involving the cruiserweights, super lightweights and bantamweights or is it fatally wounded and destined to die out? It has been announced that the cruiserweight semi-final between Krzys Glowacki and Mairis Breidis will take place in Riga, Latvia, on 15 June but no date or venue yet for Yunier Dorticos vs. Andrew Tabiti. At super light Josh Taylor vs. Ivan Baranchyk has an 18 May date in Glasgow but no information yet available for Regis Prograis vs. Kiryl Relikh. At bantamweight nothing advised for Zolani Tete vs. Nonito Donaire or Naoya Inoue vs. Emmanuel Rodriguez. The quarter finals were held in October so you are looking at a gap of seven and eight months between even those fights already scheduled. It is encouraging that a couple of the six semi-finals have a date but the longer it is before the other four are schedules the more it looks like the wound is fatal. Gilberto Ramirez has thrown his hat into the light-heavyweight mix indicating he is targeting Sergey Kovalev and it is a sensible move as there is very little for him in staying at super middle as the WBO ratings offer very little for Ramirez in the way of a challenge. In another move he is reported to have changed his manager and his trainer. Rob Brant is set to make the first defence of the secondary WBA middleweight title on 15 February in Hinckley against unbeaten 17-0 Russian Khasan Baysangurov. Brant will be back in his home State of Minnesota where he turned pro and had most of his early fights. Originally set for 6 February the WBA have reset the date for purse offers for three of their titles. Bids were due for Vasyl Lomachenko vs. Anthony Crolla at lightweight, Beibut Shumenov vs. Arsen Goulamirian at cruiser and Daniel Roman vs. Murodjon Akhmadaliev at bantam but they have delayed the purse opening to 13 February. You can be sure Top Rank will decide who Lomachenko fights in April and not the WBA. Shumenov vs. Goulamirian will be between their secondary champion and their gold champion as they continue to try to sort out the mess they made by having more champions than titles. They solved the Denis Lebedev problem by just making him disappear. As he is not in their ratings he is probably back in the recess they put him in before. You can be sure that the gold title they invented for Goulamirian will not disappear because there are sanctioning fees to be made from it. There was a faint hope that Roman might be allowed to fight IBF champion TJ Doheny in a unification fight but that looks unlikely. Roman vs. Murodjon Akhmadaliev? If you have never heard of Murodjon Akhmadaliev let me say that he was a top level amateur but has only been a professional for less than a year. How did he become the WBA No 1 super bantamweight? Well this is another case where paying the sanctioning fee for one of their obscure minor titles can reap such rich rewards. After three six round fights in August last year Akhmadaliev beat world No 266 Ramon Contreras from Chile for the WBA Inter-Continental title and was parachuted into the WBA ratings at No 6. In November be beat Isaac Zarate rated No 66 or 70, depending on which independent ratings you go by, and beating the No 66/70 was enough for Akhmadaliev to rise to the No 1 spot in the WBA ratings. That abomination makes a complete mockery of the very principles that should underpin ratings. In the WBA ratings a sanctioning fee trumps a win over a rated opponent every time. Olek Gvozdyk will put his WBC light heavyweight title on the line against Doudou Ngumbu in Philadelphia on March 30. It seems that Adonis Stevenson who had to be put in an induced come after losing the WBC title to Gvozdyk is making slow progress but it is progress. At the start of the year he was able to speak for the first time since being hospitalised and at the end of last month he took his first unaided steps. He has a long journey and I am sure he will tackle it with the same dedication and courage he showed as a fighter. That is one journey he won’t have to make unaided as his family his team at Group Yvon Michel and his fans will all be supporting him. If Gvozdyk gets past Ngumbu there will be pressure for him to fight Marcus Browne who beat Badou Jack in a final eliminator. Miguel Cotto is going to be busy this year. On March his fighter Alberto Machado defends his WBA super featherweight title against Andrew Cancio and he has said that he plans to have ten shows in Puerto Rico to develop more talent. With Saul Alvarez set to fight Daniel Jacobs in a unification match on 4 May in Las Vegas it is obvious that the secondary WBA super middle title will fall vacant. British fighter John Ryder is rated No 1 by the WBA with Fedor Chudinov No 2 and Chris Eubank Jr No 3 Chudinov would seem the most likely opponent although there has been a suggestion that David Lemieux could be in the other corner against Ryder. The AIBA are fighting it but it seems that the IOC’s decision to cut the number of divisions to be competed for at the Olympics is going to stand. It is a blow to the lower divisions. The weight divisions will be: 52kg, 57kg, 63kg, 69kg, 75kg, 81kg, 91kg and +91kg. That means that instead of the four lighter divisions 49kg, 52kg, 56kg and 60kg there will now only be two divisions in that range. That will be blow to the little guys as they will all have to compete at a higher weight than in the past. That will mean a natural 49kg fighter having to compete in his national qualifiers at 52kg. It also means that there will be fewer medals available and often national funding is based on medals won previously or potential returns. It is yet another blow to boxing at the Olympics. The Oubaali’s are another of boxing’s fighting families. Not surprising in their case. Nordine who won the WBC bantamweight title last month is the 13th of the 18 children in the family. Elder brother Ali lost only three of his 29 fights but unfortunately they were all in title fights. Now younger brother Messaoud is turning pro with his first bout scheduled for April. Ali and Nordine founded and run a gym in Deauviller with Olympic champion Estelle Mossely being one of their discoveries. There are still rumours of a return to action by Marcos Maidana. A few weeks back he seemed to indicate he was about to return but then he indicated he was only joking. Now he says there have been people talking about fights for him and he is training. What is certain is that Omar Narvaez will return to the ring. Now 43 he is targeting March for his first fight.